Modern, stylish, and incredibly convenient: SpringHill Suites San Antonio SeaWorld /Lackland is all of these things and much more. Make yourself comfortable in our tastefully furnished studio suites, each featuring kitchenettes and large bathrooms. Spacious work areas offer data ports and high-speed wireless Internet, courtesy of our hotel's Network Zone. Fuel up with a delicious free breakfast every morning, and get your day off to a great start. Other helpful hotel amenities, like a modern fitness center and an indoor pool, keep you healthy and energized during your visit; our flexible room venue offers a sophisticated location in which to host business meetings or gatherings. Of course, one of the biggest advantages of our hotel is its great location, near both SeaWorld San Antonio and Lackland AFB. Our hotel is an excellent place at which to base yourself as you become familiar with the city. 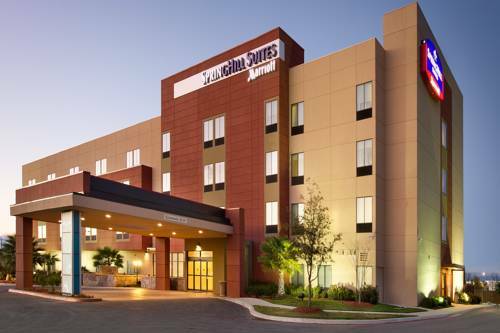 Don't delay - plan your trip to the SpringHill Suites San Antonio SeaWorld /Lackland.